The charity chief executives body Acevo made a loss of £138,000 in 2016/17, its latest accounts show. But the deficit was an improvement on the previous year, when it was £190,801. The charity said it had taken “substantial steps” towards achieving a sustainable business model, including staff restructuring and voluntary salary reductions for some senior staff, and expected the accounts for the current year to show a small surplus. The latest accounts, which cover the year to the end of March and were published today, show that Acevo had an income of £1.1m and expenditure of £1.3m in 2016/17, compared with an income of £1.3m and spending of £1.5m in the year before. Acevo said much of the £166,000 decline in income was due to the conclusion of long-term funded projects, including work carried out after a review of the commissioning of services for people with learning disabilities or autism, which was carried out by Sir Stephen Bubb while he was Acevo chief executive in the wake of the Winterbourne View care scandal, and a review of the loneliness of young people in London. The charity said it had withdrawn from providing paid-for consultancy services, cut staff numbers and refocused its direction of travel to “better reflect its purpose as an organisation giving practical support to, and representation of, its members”. Acevo had an average of 15 full-time-equivalent posts in 2016/17, down from 19.3 in the previous year, the accounts show. They say that Vicky Browning, the charity’s chief executive from the end of January, was employed on a salary of £75,000, considerably less than Bubb, her predecessor, who received £107,000 a year. 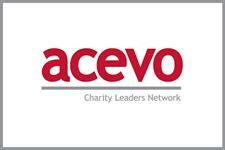 Acevo’s accounts show that its reserves stood at £151,784 at 31 March, which is below the charity’s target level of between £175,000 and £350,000. It said it planned to invest about £40,000 in the reserves in 2017/18. The number of Acevo members fell by 17 per cent over the course of the year to 1,165 at the end of March, but the charity said that membership figures were now showing net gains. Paul Farmer, chair of Acevo and chief executive of the mental health charity Mind, said the chief executives body had gone through a lot of change in recent years, but its “developing financial position gives much cause for optimism”.